Not much is known of the artist Jacob van Ruisdael with regards to his professional and personal relationships. It is known, however, that he never married but given that he never kept a journal and there are no historical accounts of his life, it is difficult to truly know him as a person. Yet, it is obvious that his paintings had a resounding influence on his Dutch peers as well as artists who emerged in the two centuries following his death. 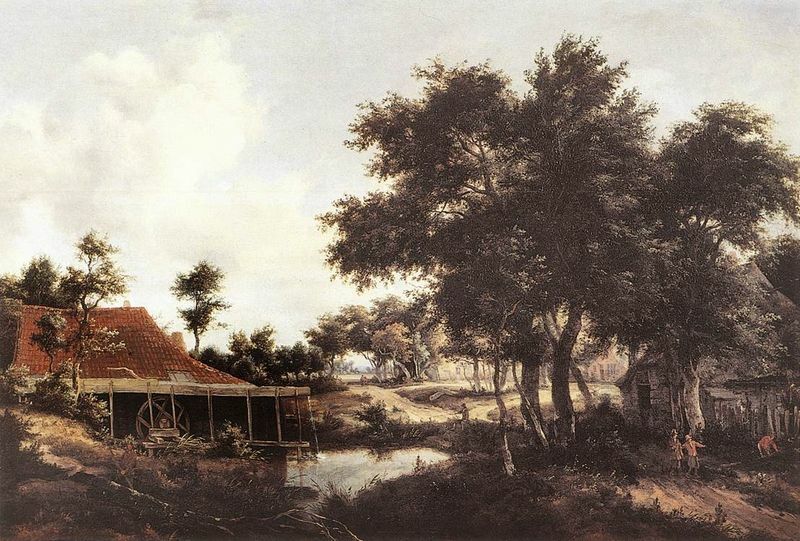 Van Ruisdael is often deemed the greatest Dutch landscape painter that lived. Ruisdael's father, Isaack van Ruysdael, was a mediocre artist and an art dealer from whom his son drew inspiration. Yet, Jacob van Ruisdael's biggest influence was his uncle, Salomon van Ruysdael, who was an acclaimed landscape artist in his own right and it's believed that Jacob later became his student. The first signed piece of artwork by Jacob van Ruisdael is dated 1646 and following this he became a prodigy in landscape painting, showing a maturity in his works that surpassed his contemporaries in this art genre. In 1648 Jacob van Ruisdael was admitted to the prestigious Dutch art school, the Guild of St Luke, in Haarlem. In around 1650 after completing his studies he went travelling across the Netherlands and also visited Germany. During this time he lodged with a friend, the painter Nicolaes Berchem (also known as Claes Berchem), near the German border and this time was particularly influential in his depictions of Bentheim Castle. Van Ruisdael drew inspiration from the diverse landscapes he encountered. 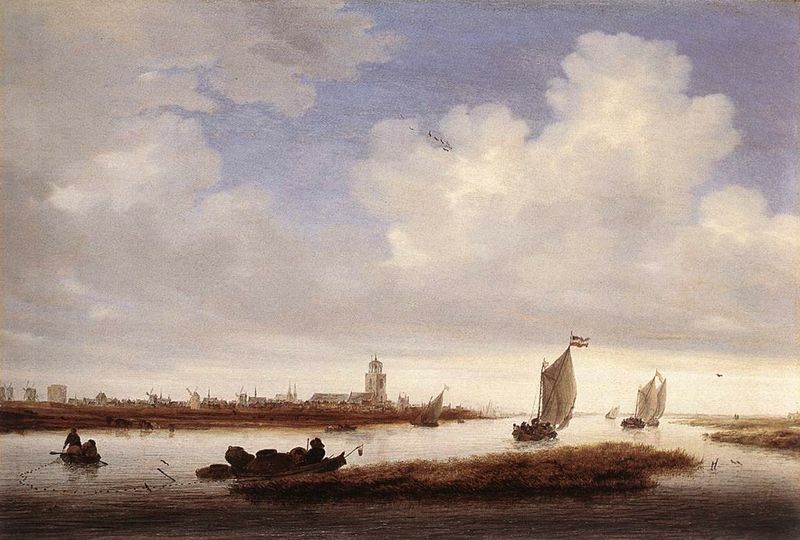 Around 1656 van Ruisdael moved to Amsterdam in the heart of the Netherlands. His move to the city was most likely due to a desire to make his mark as an artist and Amsterdam was where there was money was to be made in this profession. Two years later van Ruisdael obtained his permanent citizenship in Amsterdam and he lived there for the rest of his life. The artist opened up a very successful studio and took on many students who would define the next generation of landscape painting. 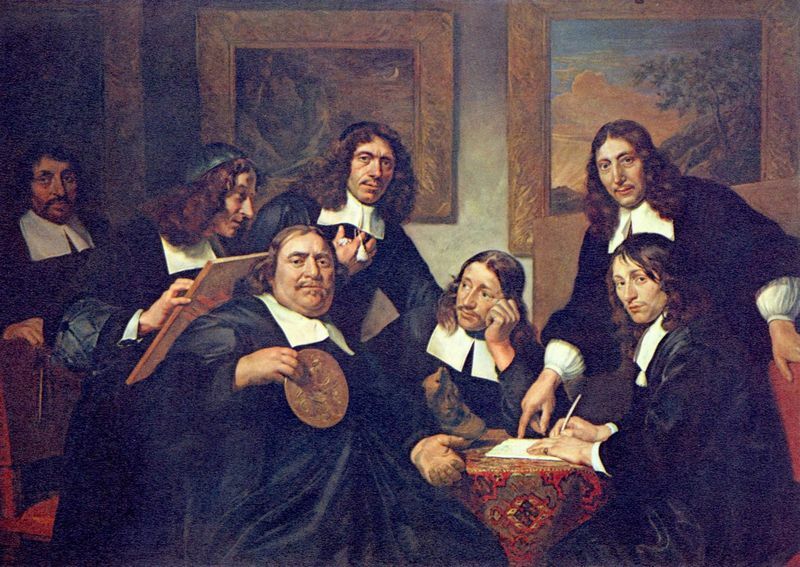 One of his most well-known and influential pupils was Meindert Hobbema. 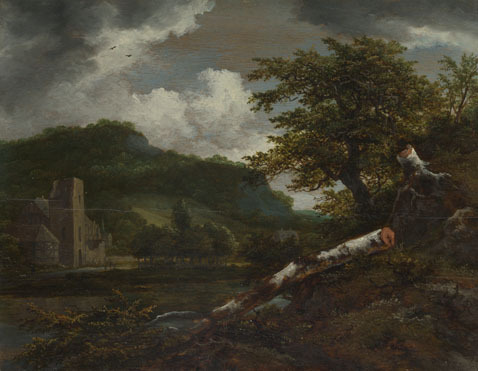 Hobbema and Ruisdael appeared to have been good friends as Ruisdael's signature appears as a witness to his student's marriage, although this is debatable as Jacob also had a cousin with the same name. During his time in Amsterdam van Ruisdael gained a reputation within affluent circles in the art world. His painting style began to change and he relied less on venturing out into particular landscapes to paint or sketch realistic scenes and more on using his imagination to create dramatic works. This can be seen in his Nordic and Scandinavian scenes and his various interpretations of castles. As there are no are records of van Ruisdael travelling to the far north it is likely that he derived such images from Dutch sailors and travelling merchants' accounts of these destinations. 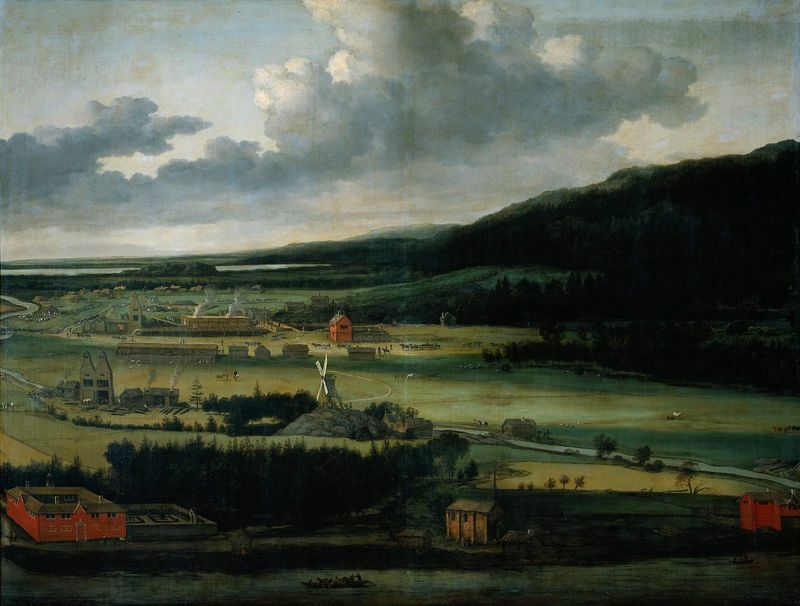 It's also possible that such works were adaptations from the landscapes of Allaert van Everdingen, a Dutch Golden Age painter whose style van Ruisdael admired. In the 1670s the French invaded the Netherlands and this had dire consequences for the art market. In 1674, van Ruisdael was forced to pay high taxes along with the rest of the citizens of Amsterdam to defend the country from the French. Deciding that he needed a second career and stable income, van Ruisdael went on to complete his medical studies in Amsterdam and graduated as a qualified surgeon in 1676. However, many art historians question whether or not this actually happened and with little historical account of van Ruisdael's private life, this is somewhat difficult to prove. In a career of less than 40 years, Ruisdael developed a radical technique and style which many classify as a a pre-Romantic vision of the world whereby nature prompts emotions. Van Ruisdael's success as both an artist and surgeon meant that he lived a rather prosperous life, though again, many historians question this. Jacob van Ruisdael died on 14th March 1682 aged about 54 and was buried in St. Bavo's Cathedral, Haarlem. His popularity grew after his death and he was inspirational to Romantics such as J. M.W. 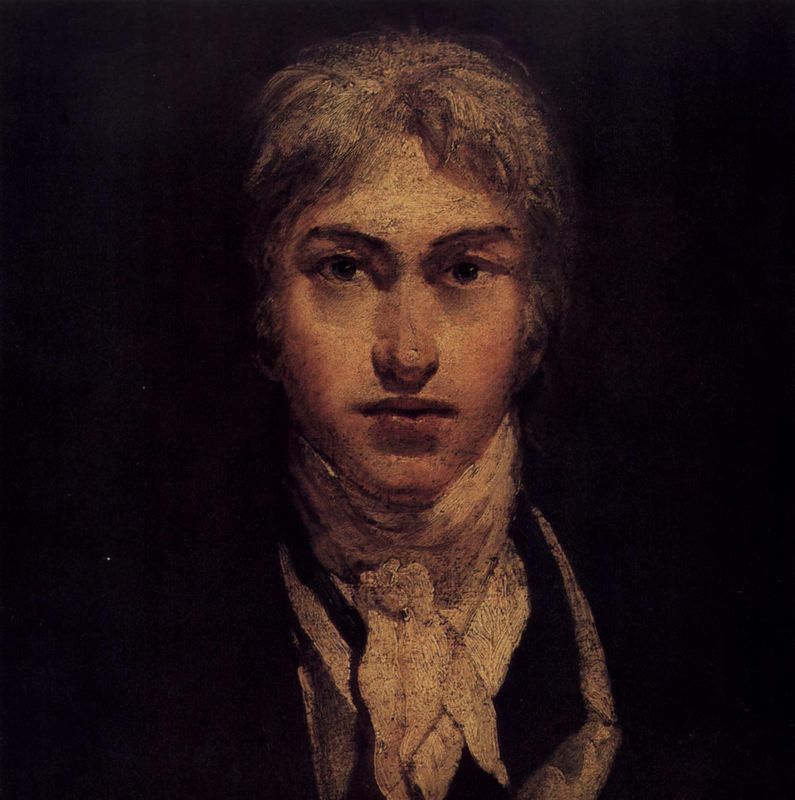 Turner, among others.